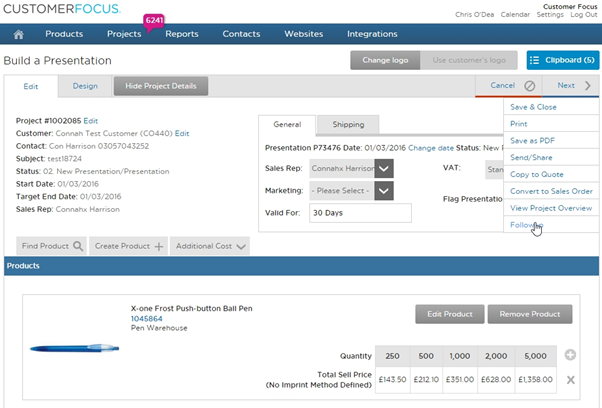 In Customer Focus Ultimate, it is possible to set follow up tasks that are due to be completed on a certain date. Once set, these tasks appear on your dashboard as well as the calendar so you always have an idea of the work coming up in your week. This help sheet will talk you through how to set one of these up and what do to with them after creation. 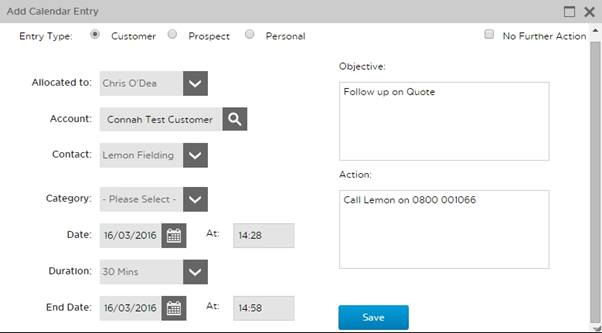 Personal: This entry doesn’t need an account or contact entry, as these are for your own reference and not relevant to a business. Once you’re happy with the entry, click save to store this in the system. 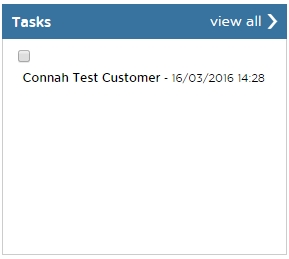 You can mark tasks as completed directly from the tasks list by clicking the grey box just above the entry. 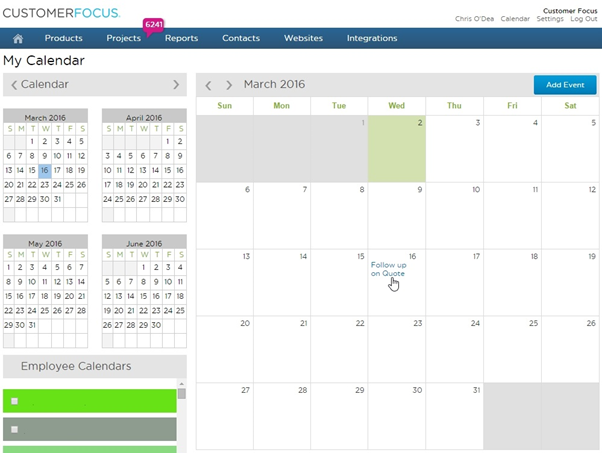 You can also click ‘view all’ to be taken to your calendar. 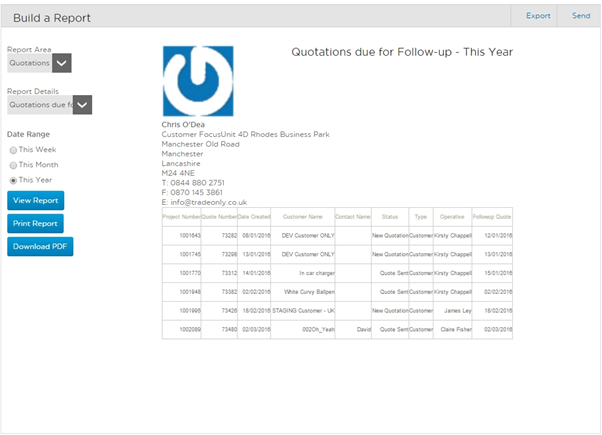 If you wish, you can generate a report of all the upcoming follow up tasks relevant to a certain area of the system. You can do this by going to ‘Reports’ on the top navigation bar.